While packaging only accounts for 20% of the environmental impact of a product, it represents one of the biggest opportunities to engage customers and consumers about environmental impact. There is no silver bullet packaging solution that ensures a strong shelf life, low environmental impact, competitive pricing, and 100% recyclability, reusability or compostability. However, there are many ways companies can engage in sustainable packaging solutions. Through a partnership with Trayak – a software solutions company, PSC members can evaluate different packaging systems to understand their comparitive environmental impacts using a streamlined lifecycle assessment. A COMPASS analysis can show a company their hotspots for packaging and where to focus efforts to have the greatest impact when attempting to reduce their environmental impact. It can also be a way to see where improvement has been made, internally report these results, and track progress toward sustainability goals. While there is substantial guidance around design for the environment in general, the Coalition identified a need to consolidate the thinking, the information and the best practices for packaging. We hope this guidance may provide a basis for education on sustainability considerations as they relate to packaging and to help bring them into the mainstream of packaging development. 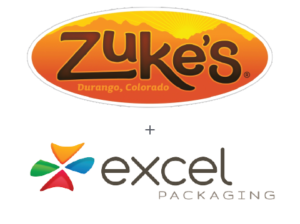 Learn how Zuke’s and their packaing provider Excel Packaging collaborated to use the COMPASS tool to drive sustainable packaging solutions. Check out the additional sustainable packaging resources on the right.